This page last revised August 11, 2015. 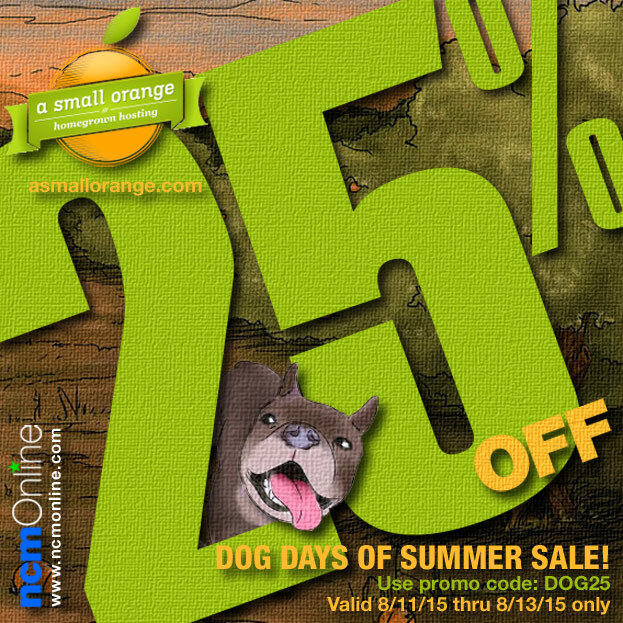 New web hosting orders receive 25% off any A Small Orange plan. Use promo code DOG25 in your cart when you order. August 11th at 12:00am CST until August 13th at 11:59pm CST. Offer applies to new hosting orders only. Not valid for renewals, domain registrations, or “add-on” services. Discounted services renew at the regular rate. Use the link immediately below to contact A Small Orange directly for definitive offer details including expiration date, exemptions, and valid applications of discount.